FOUNDED BY PATRICIA MICHELSON, LA FROMAGERIE IS A CHEESE SHOP, CAFE, PRIVATE EVENT SPACE & WHOLESALER LOCATED IN HIGHBURY, MARYLEBONE & BLOOMSBURY. Enric has been helping us source our Spanish cheese for over 20 years, and we're so pleased that he'll be running a Spanish cheese workshop at our Bloomsbury shop on Saturday, 22 September from 3 to 5 PM. Tickets are only £35, and we only have a handful available so email bloomsbury@lafromagerie.co.uk to reserve your spot. 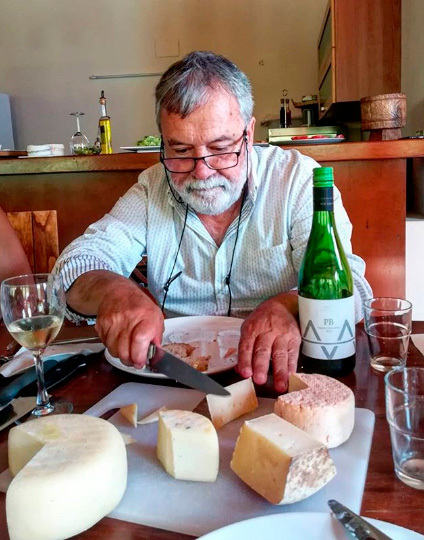 This is a fantastic opportunity to meet someone who not only produces artisan cheese, but has also been influential in taking Spanish cheese to where it is today. In 1995 he created Spain's first unpasteurised cheese that is less than 2 months old (working with the health department to achieve this and paving the way for other cheesemakers in Spain), and he's also been instrumental in reviving Spanish cheesemakers traditions and supporting dairy farmers and other small-scale cheesemakers.